A combination of lake design which created prime building sites and naturalistic earth forms which screen building parking areas, transformed a featureless cow pasture into an exciting corporate address. The two lakes eliminated flooding problems downstream by acting as large retention ponds. NLA provided comprehensive master planning services, site grading and layout through construction documents, and complete landscape and irrigation design services. 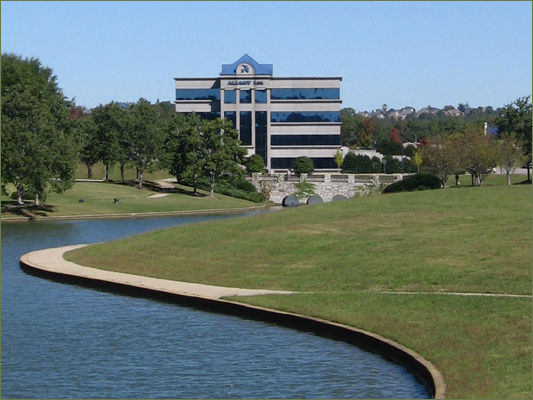 Meadow Brook received an Honor Award from the National Association of Office and Industrial Parks in 1989, and a Merit Award from the Alabama Chapter of the ASLA in 1988.